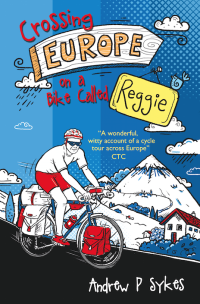 “Given I thoroughly enjoy cycling and European travel, I had high hopes of liking this book… and it hasn’t disappointed whatsoever. The pace of the storytelling is ideal; no item is dwelled upon too long, yet items of real interest are never skipped over/ignored. I also found it a struggle to put the book down… eager to know how the next part of Andrew’s journey unfolded. The book also provides plenty of evidence of the warmth of human nature, with many tales told of a number of people of different age, gender and nationality helping Andrew along the journey.